Easy Tips to Improve Your Email Marketing Strategy This Holiday Season! Home > Latest News > Email Marketing > Improve Your Email Marketing Strategy for the Holiday Season with these Tips! The holiday season is fast approaching and most people are preparing for activities such as shopping for gifts, preparing Christmas dishes, reuniting with friends and families, or planning for the New Year Eve’s party. For those who own a business, the holiday season is more than a time to relax, to spend quality time with loved ones, and to indulge in Christmas treats – it is the time when their companies can gain more traction and higher profits can be made. However, this doesn’t happen overnight or without effort. It is important for brands to have their marketing strategies polished and ready to engage. With less than one month remaining until Christmas, we know you have little time to implement complex marketing strategies, so in this post we will focus on the most effective and easy to implement online tool your business could use – email. While it’s never really too early to begin holiday marketing, it is critical to get the message right for the timing. You will need to craft messages for various moments, such as the weeks before Christmas, the days before and after, Christmas Eve and Christmas Day, Boxing Day, New Year’s Eve, and so on. Once you’ve prepared a message for each occasion, you can schedule it in your email marketing application and festive emails will reach your subscribers at the right moment, every single time. Remember that it is vital to adapt your promotional message for every phase of the holiday season – wishing your audience a Merry Christmas too early makes you look inadvertent and neglectful. “Make sure your site, emails and other communications are relevant for the individual customer, either with personalized product recommendations, geographically-appropriate suggestions (i.e. not suggesting snow boots and parkas to Florida residents) or other contextual offers. 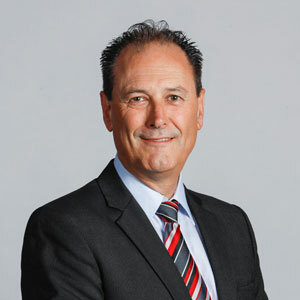 Customers today expect that you know what they want and hitting them with a just-right product or offer can build loyalty and trust,” said Jeff Kupietzky, CEO, PowerInbox. But how do you know what each of your potential customers wants? You don’t have to know this for every single prospect, thanks to marketing personalisation software. These apps make it possible to offer personalised attention to your website visitors, which can make a big difference in their behaviour. Personalisation software engines make use of analytics to determine the perfect experience for each recipient, which translates into higher conversion rates, increased cart value, and stronger customer loyalty. Some of the most popular personalisation apps are Yusp, Dynamic Yield, Qubit, Certona, Nosto, IgnitionOne, Blueknow, Sailthru, and Boomtrain to name just a few. A few years ago, when social media marketing started to gain prominence, some marketing experts rushed to declare the death of email. They proved to be wrong. Email managed to adapt to current user requirements, and one of the features that allowed email to stay relevant for the late 2010s was video. People love to watch video online, and in an e-newsletter video is clicked more than anything. Images are more attractive than words, and video is image to the second power. You don’t even have to be a professional videographer; authenticity and the camera of your smartphone can be just enough. So create some friendly, fun, and/or personal holiday videos and share them in your seasonal e-newsletter. Don’t trust us? Try A/B testing with/without video and you will give us justice eventually. Gaining the attention of your subscriber is simple if you know how to do it. The secret is to make your email interesting and catchy from the first moment subscribers see it, and that would be the notification they get, no matter what device they are using – computer, tablet, smartphone, or smartwatch. You will need to pay particular attention to your user icon and to your subject line. The subject line should be short enough to fit the limited amount of words that can be displayed with notifications – so put your copywriting skills at stake by creating short and compelling subject lines that have an immediate impact on your audience. Making your marketing campaigns holiday-themed is paramount, even if you think prospects are already saturated with this type of messages. When it comes to Christmas, you can never have enough and people are actually looking forward to this time of the year and all Christmassy things. So don’t be afraid of Santa and his reindeers and dare to include some Christmas magic in your email marketing strategy. Consider some holiday email templates, holiday-themed email content, Christmas-themed smileys in your subject line, and festive videos of your business and its employees. Your business will benefit from this and you will also have some fun in the process. Email list segmentation allows you to send more relevant and targeted emails to people who are truly interested in what you have to offer. It is one of the email marketing strategies that has maintained the value and effectiveness of this online marketing tool while everyone was rushing to declare its death. Segmentation allows you to speak directly to your customers and to offer them the information they expect at the right moment. MailChimp discovered that when their users segmented email lists based on data such as location and job title, open rates increased by almost 19% and click-through rates by almost 22% compared to non-segmented sends. In order to perform segmentation, you will need data tied to email address, an email-sending tool, and eventually creating email lists based on various criteria. November outperforms December – pay attention to pre-season messages! A time-limited holiday offer encourages visitors to take action now because nobody likes to miss out. Even if people know a new offer will follow soon, the sense of urgency is so powerful that still they end up making online purchases on the spot. This tactic can be included in your email marketing strategy at any time, but during the holiday season it can deliver better results by doing one little thing – inform prospects that they need to purchase their gifts before this date to be shipped on time for Christmas Day. We encourage you to start working on your holiday email marketing strategy as early as possible to have the best holiday selling season. 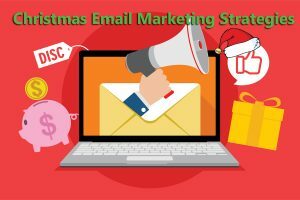 However, if you haven’t started your Christmas email marketing strategy yet, the tips in this article are easy and effective strategies you can implement now even though Christmas is not too far away!